What are the true objectives of tourism and hospitality education? Why do students choose to do tourism / hospitality course? Should tourism/hospitality education be education for employment or is it for individual learning? Should tourism/ hospitality education be used as a source to enhance entrepreneurship? Can tourism and hospitality education improve the sustainability or sustainable development of a destination? The reason behind thinking the previously mentioned questions is the current situation where too many undergraduates, postgraduates and diploma holders were being created without sufficient assurance of being able to find jobs in travel, tourism and hospitality industry. Moreover, the students due to this insecurity are focused completely upon achieving good ranks and degree. Regardless of the speedy growth in the provision of tourism higher education in the past few years, doubts hang about the content and nature of tourism degrees and how these are associated with the needs of the tourism industry. Tourism education curriculum design has been discussed many times but to which level these courses meets the industry requirements has not yet been examined. Tourism and hospitality education plays a vital role in society by creating new knowledge, conveying it to students and nurturing innovation. Quality teaching and practical learning in tourism higher education matters for the students learning. Employment-based education has lately received escalating interest both among researchers in tourism education and in public discussion. In the past decades, an immense covenant of attention has been focussed towards developing research in tourism and hospitality education all over the world. Tourism and hospitality education is undoubtedly an indispensable component for the enhancement of education by producing highly qualified personnel. It is needed to develop the teachers are well equipped with the conceptual perceptive and methodological skills to carry out research in tourism, content analysis related with Tourism education should be conducted. The high need is to develop research policies, strategies and practices in under graduate and postgraduate level. Nurturing quality teaching needs tourism higher education institutions to ensure that the tourism education they propose meets the expectations of students and the desires of employers, today and for the future. Growing tourism and hospitality industry have enhanced academic requirements and the demand of tourism courses. Employment and learning focused courses of travel, tourism and hospitality are stipulate. The teachers need to focus on the elements such as ï¿½ subject knowledge, content acquaintance, effective communication skills and personality development, intellect of ethics, understanding of students' requirements, behaviour, and motto of providing learning experience. Tourism education has gradually more become the concern of obtaining degree. Rather in tourism and hospitality education, the duration of training should be increased and the teaching patterns should be replaced with learning process through field visits, seminars, workshops and case solving problems. In tourism education, research is necessary in order to offer a basis for tourism educational planning. It is one of the most significant fields that should be entrenched in tourism education curriculum. Teachers need to develop the required knowledge and skills to become more effective mentors. In the state like Rajasthan, which is rich in tourism products it is very much appreciated to change the image of certain destinations through tourism courses. The growth and employment opportunities should be pointed out; advantages for women in tourism and hospitality industry should be focused upon. Traditionally, in Rajasthan tourism had been taught in normal Universities; however, the state is in urgent need of a fully-fledged Tourism Institution or University. For tourism and hospitality courses in Rajasthan, it is necessary to follow a two-way theme. The courses must be focus on one side of degree programs including different subjects of communication, management, marketing, human resources and strategies. On the other hand the course must be approachable sociological as tourism and hospitality industry is completely dependent on host- guest relationship. Travel, tourism and hospitality courses must be designed to enhance the critical thinking level of aspirants. Innovations are required not only in the classroom teaching but also in tutorials, field trips, seminars, conferences and so on. Employ real-life cases, experimental erudition situations, encourage inquiring and in-class discussions are few of the methods that can be used to fetch the curriculum to life. For the success of tourism courses, it is important to connect with the personal interests and standards of the students. They should consider as learners and doers during fieldtrips. Development of personnel holds an important place in the travel, tourism and hospitality courses. In fact, the growth and development of the industry is very much dependent on the level of education and professional development of the students. Total quality in tourism education and sustainable development of the industry emphasize upon efficient tourism education policy in Rajasthan. The tourism and hospitality education system needs to adapt fresh trends in courses and training modules. Rajasthan not only needs improvement in tourism education on higher level but also on every level. Involvement of international exposure is necessary for travel, tourism and hospitality industry candidates. 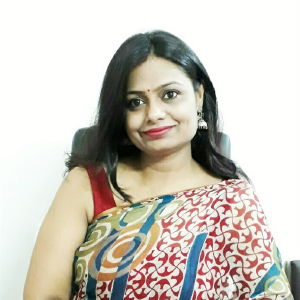 Dr. Anukrati Sharma is presently working as an Associate Professor University of Kota. She teaches Strategic Management, International Business Management, International Marketing Management, Management and OB, Service Marketing, Sales and Distribution Management to PG Courses and overseas Project ReFports, Thesis, Handling duties of various cells i.e. extension activity cell, international students office, small and medium enterprise.